"Scott Kelby believes 'you never go wrong by doing the right thing.' And from what we've seen, he's done a lot of things right. Peek behind the curtain to learn more about the man who built an educational empire - while staying true to his passions as a photographer and family man. Want more? Read our exclusive interview with Scott. 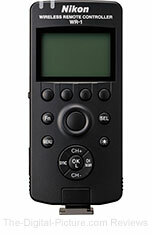 Nikon has published the WR-1 Wireless Remote Controller User's Manual. (PDF, 1.73MB). B&H has the Nikon WR-1 Wireless Remote Controller available for preorder. In a recent post on Canon's Digital Learning Center, photographer Jack Reznicki explains how Auto ISO enabled him to greatly improve his "keeper" rate when shooting street photography. Reznicki elaborates on the usefulness of Auto ISO and how it gives him "...maximum control over [his] camera in situations where the light changes dramatically and extremely quickly." Check out the article – Auto ISO with street shots – on Canon's Digital Learning Center. Recent media reports have called attention to the disocovery of a security vulnerability in OpenSSL, an application widely used by network-connected devices and websites that encrypts information to enable secure communication. The vulnerability, known as the Heartbleed Bug, could result in the leak of information that was thought to be secure. We have been evaluating Canon products equipped with network connectivity* as well as websites directly operated by Canon. At this time, however, we have not found any that are affected by this vulnerability. We will work to further strengthen security measures to ensure that customers can continue using Canon products and websites with peace of mind. * Products that do not include networking capabilities or are not used when connected to a network are not affected by this vulnerability. San Francisco, California—April 30, 2014 – Red Giant Universe, a revolutionary new community with access to an ever-expanding library of new tools and effects for filmmakers and motion graphic artists, is available today. Membership in Red Giant Universe is free and it allows our members to take control of the future of Universe development. Available now are 50 Free and Premium visual effects plugins built on a brand new platform—Supernova. Red Giant Universe is available at redgiant.com/universe for $10/month, $99/year or $399 for a lifetime license. Free membership includes the use of 31 effects and transitions, including blurs, glows, distortion, generators and 3D transitions. Stand-out tools in our free membership include beautiful transitions such as Swish Pan and 3D Shutter as well as the unique Glo-Fi that creates pulsating, multi-hued glows for titling. These tools are truly free and NEVER expire. Premium membership includes access to 19 tools. The Premium tools include updated favorites such as Knoll Light Factory EZ, Holomatrix, ToonIt (powered by Toonamation), and Retrograde, from CrumplePop and Red Giant. "The new Universe toolset is so blazing fast, interactions with the parameters are instantaneous, even on my MacBook Pro," said Joey Morelli, owner of DigiDojo, and a veteran editor and compositor. "It's actually fun to play around and get instant feedback. And the effects are SWEET! The new version of Universe Holomatrix is worth the price of admission alone. I cannot wait for future updates!" Red Giant Universe community is now open on the web as well with our first feature called Labs. Labs lets our members vote on the amazing visual effects that they want to see next. The tool that wins the Labs voting round goes right into Universe and is available as part of the Universe membership. Red Giant is committed to frequent updates throughout the year. Members will receive dozens of new tools in 2014 alone. All the tools in Red Giant Universe exploit the power of modern GPU (graphics processing unit) to render most effects in near real-time. The platform is also scalable, working across small and light laptops such as Macbook Air with modern Intel graphics processors (HD4000 and later) up to high-end workstation GPUs from AMD and Nvidia. All effects render with floating point quality for feature film-ready output. Red Giant Universe is available today as a subscription for $10/month or as a discounted yearly pre-pay for $99. Users who want the benefits of membership but don’t want to pay monthly can opt for a lifetime membership for $399. The lifetime membership never expires and includes all Universe updates and upgrades released over the months and years to come. All Red Giant Universe tools and effects work in After Effects (CS 5.5, CS6, and CC), Premiere Pro (CS6 and CC), Final Cut Pro X (10.1.1) and Motion (5.1), and work on both Mac OS X (10.8.4 and later) and Windows 7 (64-bit) and Windows 8.1. Sign up for a free Red Giant Universe account today at http://redgiant.com/universe. B&H carries Red Giant software. Tamron has posted its Q1 FY2014 Financial Results (PDF, 117KB). TOKYO, Japan, April 30, 2014—Canon Inc. today celebrated an impressive lens-manufacturing milestone with the production on April 22, 2014, of the Company's 100-millionth EF-series interchangeable lens for EOS cameras—an EF200-400mm f/4L IS USM Extender 1.4x. Production of interchangeable EF lenses for Canon EOS-series AF (autofocus) single-lens reflex cameras began in 1987 at the Company's Utsunomiya Plant, which continues to play a central role in Canon’s lens manufacturing operations. In May 2013, EF lens production surpassed the 90-million-unit mark and now, approximately eleven months later, the Company is commemorating its first-in-the-world achievement of having manufactured 100 million lenses. Canon's proprietary EF lenses, launched in March 1987 along with the EOS SLR camera system, have continued to evolve since their introduction, leading the industry through the incorporation of a wide range of innovative technologies, including such world's firsts as the Ultrasonic Motor (USM), Image Stabilizer (IS) technology, and a multi-layered diffractive optical (DO) element. In May 2013, aiming to further expand the realm of photographic expression, the Company introduced the EF200-400mm f/4L IS USM Extender 1.4x, the world's first super-telephoto zoom lens with a built-in 1.4x extender that makes possible a 200-560 mm focal length range. In recent years, in addition to renewing such models as super-telephoto lenses ideal for sports and nature photography along with zoom lenses that offer a bright f/2.8 maximum aperture throughout the entire zoom range, Canon has launched multiple entry-class interchangeable lenses equipped with a stepping motor (STM) that delivers smooth and quiet autofocus performance during video recording. As a result, the Company's extensive EF lens-series lineup currently comprises a total of 89 models. In addition to enhancing its lens offerings, Canon has expanded the optical technologies incorporated in its EF lenses into new fields, launching EF Cinema Lenses for digital cinematography in January 2012, and EF-M lenses for compact-system cameras in September 2012. Furthermore, during the 11-year period from 2003 to 2013, Canon maintained the No. 1 share worldwide within the interchangeable-lens digital camera market and, in February 2014, marked another manufacturing milestone as combined production of its film and digital EOS-series interchangeable-lens cameras surpassed the 70-million-unit mark. Canon will continue refining its diverse imaging technologies based on its core optical technologies, striving to produce exceptional and reliable lenses and cameras that cater to the varying needs of photographers—from first-time users to advanced amateurs and professionals—while contributing to expanding the photographic and video imaging culture. Lastolite has extended the inspirational range of Urban backgrounds to now offer even more options to photographers looking to create the outdoor look in any location. Each reversible background has a unique urban feel and can quickly add a new dimension to any portrait shoot. The collapsible backgrounds are portable and quick to set up; offering the ultimate solution to today’s busy photographers. Bring the outdoors, indoors; saving the time and costs related to finding the right location. Create two unique looks with one reversible background. Crease resistant fabric facilitates instant set-up. Lightweight and collapsible, the Urban backgrounds are the perfect solution for photographers on the move. B&H carries the Lastolite Urban Background series. B&H Publishes Moshe Zusman's Presentation for "Wedding Event of the Season"
In this segment from B&H's "Wedding Event of the Season" seminar, recorded live at the New Yorker hotel, Moshe Zusman shares tips on lighting and posing for wedding photography. Permalink: B&H Publishes Moshe Zusman's Presentation for "Wedding Event of the Season"
Image quality, vignetting, flare and distortion test results along with specs/measurements and product images have been added to the Sigma 50-500mm f/4.5-6.3 APO DG OS HSM Lens review page. One interesting comparison to make is the Sigma 50-500mm OS Lens compared to the Tamron 150-600mm VC Lens. Select the focal length and aperture to base your comparison on. DxO Optics Pro v9.1.5 also benefits from the addition of new DxO Optics Modules: 472 new camera/lens combinations have been added to the library, which today counts more than 18,000 available DxO Optics Modules. Produced in the laboratory, DxO Optics Modules contain copious information about the characteristics of each camera and each lens so as to be able to automatically correct distortion, vignetting, chromatic aberrations, and lens softness with an unrivaled level of quality. The capacity of DxO’s laboratories enables DxO Optics Pro 9 to quickly offer support for the latest models — for example, DxO will support the Panasonic Lumix GH-4 and the Sony A6000 in the very near future. DxO ViewPoint v2.1.5 also benefits from the addition of new camera/lens combinations for automatic correction of distortion in JPEG and TIFF images. 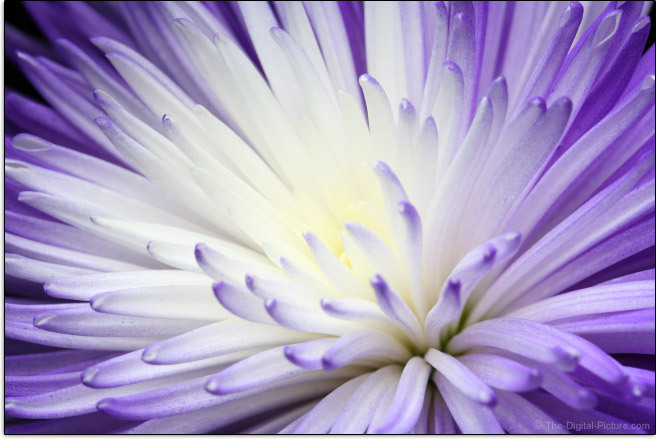 Both DxO Optics Pro v9.1.5 and DxO ViewPoint v2.1.5 are now available at photo resellers. B&H carries DxO Optics Pro v9 and DxO Viewpoint v2. Zacuto announced its new and novel lens support system for use with Canon Cinema EOS Prime Lenses, Compact Zooms, and Zeiss CP.2 prime lenses in EOS mount. The system locks the camera and lens securely to your baseplate, providing support and stability, while still allowing you to swap lenses in about the same amount of time as if you were not using a lens support. The lens support system consists of the rod support and the lens “foot.” The system works with a variety of cameras in Canon EF mount, including most DSLRs and the Canon Cinema EOS Cameras. The rod support mounts on LWS support rods, and provides a machined channel or “hook” into which the lens support foot slides, thus supporting the lens on the rods. The system allows you to support the above mentioned heavy cinema-style lenses on your camera, but without using a screw-in lens support, which can be difficult and time consuming to set up. The support foot itself is designed to mount on each lens, becoming a part of the lens, yet adding little to the size of the lens itself. It is important to note that you will need one foot for each lens, and that the support foot for the Canon and Zeiss lenses are different. You can use the support hook with baseplates that feature adjustable rod heights, for use with different cameras. The rod support itself also features height adjustment for baseplates that don't have height-adjustment capability. Once the lens feet are mounted on the lenses, you can swap Canon Cine Primes and Zeiss CP.2 lenses between the same camera body without making any further adjustments to the support hook. B&H Publishes Ryan Brenizer's Presentation for "Wedding Event of the Season"
In this segment from B&H's "Wedding Event of the Season" seminar, recorded live at the New Yorker hotel, Ryan Brenizer walks us through the business side of being a wedding photographer. Permalink: B&H Publishes Ryan Brenizer's Presentation for "Wedding Event of the Season"
For a modest cost, the Rogue FlashBender system can transform the light quality coming from your speedlite into something special. Check out the entire line of Rogue FlashBenders at B&H. Profoto releases the first firmware upgrade for the B1 off-camera flash and the AirTTL system, enabling TTL metering with Canon EOS-1D X.
April 28, 2014 – When launched in November 2013, the Profoto B1 off-camera flash caused such a buzz in the photographic community that the company’s website crashed. The B1 was the world’s first cordless monolight with TTL. The words “game changer” have appeared in reviews and forums ever since. 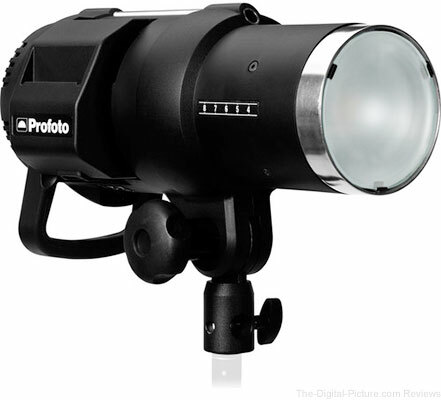 The TTL metering is made possible with Profoto’s patent-pending AirTTL system. Already at launch Profoto promised to continuously update the AirTTL system. One of the most frequently requested features is TTL metering with Canon’s flagship model: the Canon EOS-1D X. Today, this feature is made available free of charge through an easily installed firmware upgrade. Note that it is not the B1 off-camera flash itself that needs to be upgraded; it is the small radio transmitter that is mounted on the Canon camera’s hot shoe: the Air Remote TTL-C.
Sign in with an existing My Profoto account or create a new one. Register your B1 and your Air Remote TTL-C.
Open the software and follow the simple instructions. That is it. You can do all of this without having to contact a service station. This is the first of many planned upgrades for the B1 off-camera flash and the AirTTL system. Profoto is currently working on a firmware upgrade for high-speed sync (HSS). Profoto is also busy developing the new Air Remote TTL-N that will enable TTL metering with Nikon cameras. Both the HSS upgrade and the Air Remote TTL-N are expected to be released in 2014. B&H carries the Profoto B1 battery powered off-camera flash.